The period under review recorded 508 terrorism related deaths out of which337 resulted directly from terrorist attacks whereas 171 were deaths recoded during counter-terrorism operations by security forces. 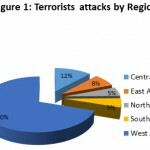 The Sahel region recorded 65 out of 93 incidents of terrorist attacks. 74% of civilian deaths also occurred in the Sahel region. For the entire Africa, the bulletin reveals that 50% (253) of those who died were terrorists whereas 44% (225) were civilians. Security/Military Forces represent 6% (30) of the deaths.In 68 out of the 93 attacks, the terrorists used Small Arms and Light Weapons (SALW). 11 attacks involved the use of Improvised Explosive Devices (IEDs), and 11 cases of kidnappings and murder. Al-Shabaab for the first time since the beginning of 2019 used SALW more in their attacks than IEDs. Jama’aNusrat Al-Islam wal Muslimin (JNIM) used both IEDs and SALW in its attack and Islamistgroups in Sinai Peninsula used only SALW. The use of SALW accounted for 67% of terrorists attack related deaths, whereas IEDs accounted for 16% of deaths caused by terrorists groups. 4 people died from cases of kidnappings. The report further reveals that 64 of the attacks targeted civilians, 20 targeted security forces, 4-targeted Government Institutions/Officials, and 5 targeted International Organizations (MINUSMA, AMISOM, MINUSCA and Médecins Sans Frontières in DRC). Boko Haram (Shekau faction) targeted civilians most in their attacks, whereas attacks by JNIM and Islamist groups in the Northern Sinai of Egypt targeted Military/Security forces. Attacks carried out by Al-Shabaab resulted in 40 people (all civilians) being killed whereas Boko Haram killed 48 and Islamist militants killing 15 (all Military) in the Sinai Peninsula of Egypt. 152 victims comprising of 140civilians and 12 members of Military and Security forces were killed by unaffiliated/unidentified groups. In terms of casualties suffered by the terrorist groups, Al-Shabaab lost 87 members whereas terrorist groups in the Sinai Region lost 31 members during CT operations. JNIM, Boko Haram and AQIM lost 13, 6, and 1 of their members to CT operations respectively. 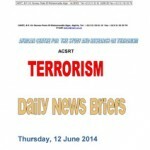 116 others killed by counter-terrorism and counter-insurgency operations belong to unidentified/unaffiliated groups. The five countries most affected by terrorism during the period are Mali, Nigeria, Somalia, Burkina Faso, and Mozambique.Countries of the Sahel region in West Africarecorded a total death of 271 out of the 508 representing 53% of the terrorism related deaths for the period. Out of the 271 casualties, 166 were civilians, 94 terrorists, and 11 security/ military personnel. 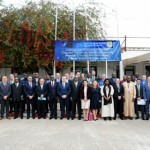 The findings from the bulletin further reveal a consistent increase of terrorism incidents across Africa since the beginning of 2019.The situation continues to deteriorate in a number of regions resulting in the death, maiming and displacement of huge numbers of both security forces and civilians. Contrary to opinion that Boko Haram has been technically defeated, the group has demonstrated enough capability and presence particularly in northeastern Nigeria and along its borders with Niger and Cameroon. The results further show that, Islamist groups in the Sinai Peninsula of Egypt are still active with the capacity to carry out devastating attacks. Similarly, the activities of Al-Shabaab, remind us of the diverse tactics being employed by the various terrorist groups to carry out sophisticated attacks against innocent civilians and security forces. 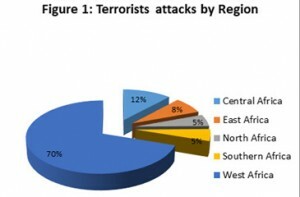 The escalation of terrorists’ activities in the Lake Chad Basin for the period under review, the sophisticated attacks by terrorist groups in the Sahel Region of West Africa coupled with the re-emergence of Amadou Kouffa, the persistent atrocities committed by Al-Shabaab in the Horn of Africa, and the protracted attacks by Islamist groups in the Sinai Peninsula indicates that terrorism remains a major threat to peace and security on the African continent. These threats are combining with existing threats to make Africa’s security landscape more complex, diverse and fluid than ever. 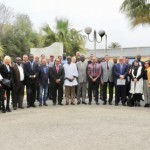 There istherefore the need for governments in Africa and their international partners to strengthen the counter-terrorism initiatives as well as adopt a whole of society approach where all segments of the societies particularly those affected by activities of terrorists and extremist groups feel part of the system. This will enable the governments to win the hearts and minds of local communities who will serve as the eyes and ears for the relevant authorities.